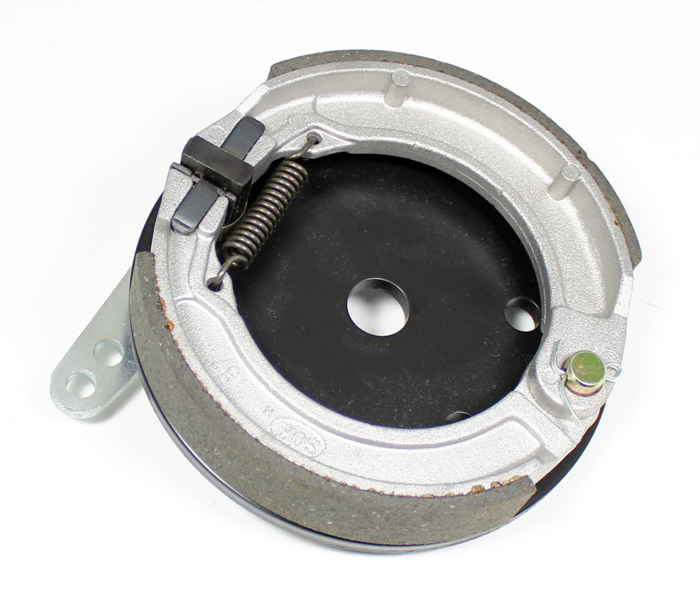 This is a 5" Azusa backing plate. It is sturdy, lightweight and economical. 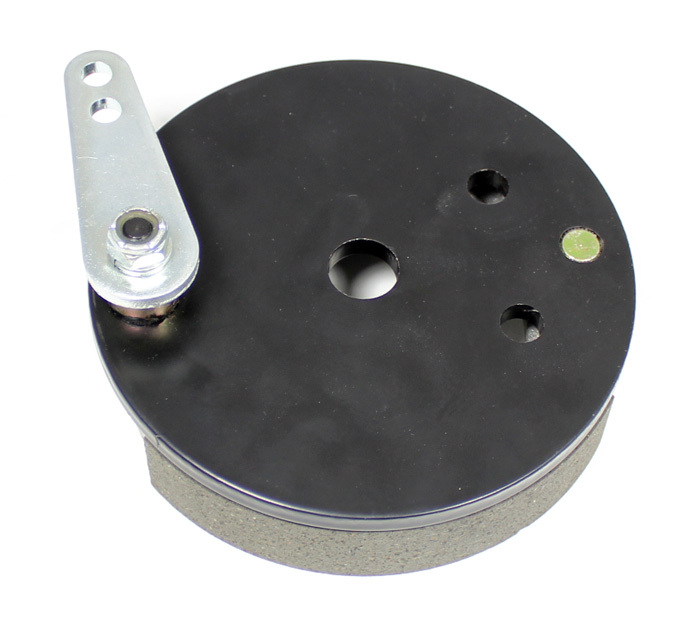 With a 5/8" bore and only 1-3/8" wide, this sturdy, lightweight, economical 5" internal expanding brake may be just the unit for your minibike or go-kart, or other small vehicle. Q: How do you install? And what other parts are needed to function? Full Union Brass Fitting, 3/16'' tube to 3/16'' tube N.P.T.